Leftover rice is tasty. Leftover rice is used in many forms. However, many people feel leftover rice unhealthy. But, leftover rice is beneficial for many reasons. It is not only tasty but also healthy. Ulcer: Stomach ulcer patient should eat leftover rice. It is naturally cool. 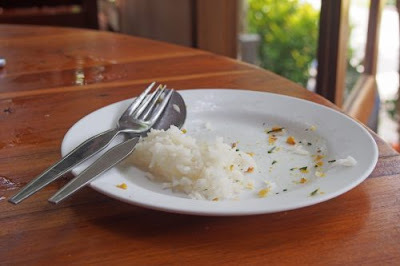 The consumption of leftover rice gives relief to stomach. Tea or Coffee: If you start your day with tea or coffee in morning. Then you can eat leftover rice. This avoids tea or coffee habit in the morning. Blood Pressure: The leftover rice in the morning gives many nutrients. The consumption of leftover rice in morning is very beneficial in blood pressure. Beautiful Hair: Rice has good amount of iron, potassium and calcium. It is easily digest in stomach in the morning. It works as medicine for hair. Thin: The leftover rice has very good property. Usually, rice is considered to increase weight. The leftover rice has 60% less amount of calorie. Therefore, it is beneficial to eat leftover rice.